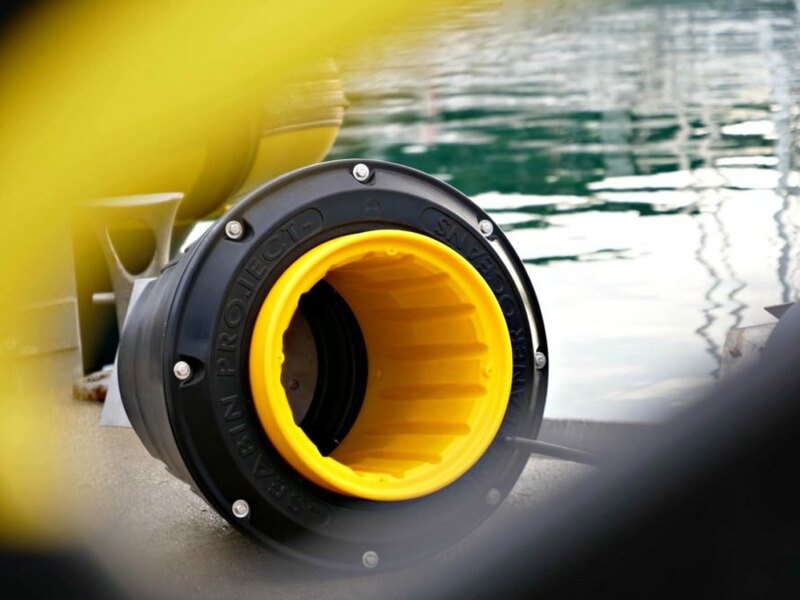 UK waterways are about to get a lot cleaner with the launch of the world’s first production Seabin in Portsmouth harbor. The device, which was developed by a pair of Australian surfers, works by sucking in various kinds of pollution (including oil) and spitting out clean water. 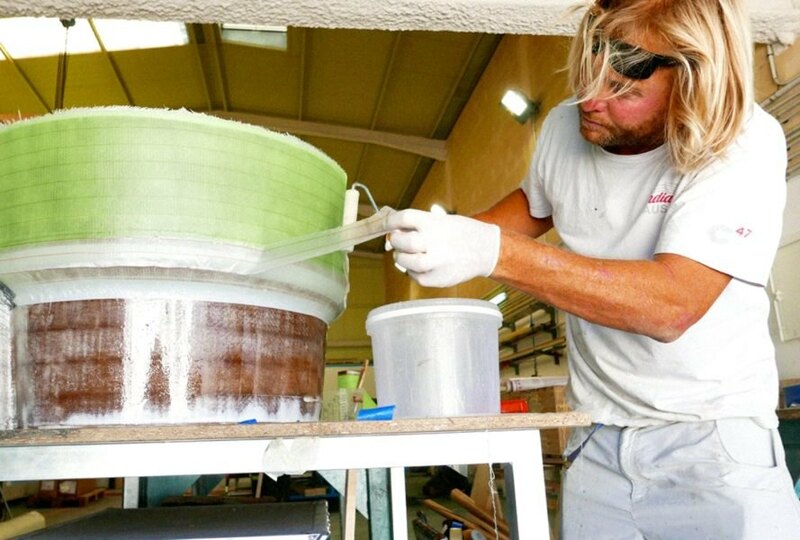 The Seabin can collect approximately 1.5 kg of waste each day and has a capacity of 12 kg — and in a given year, a single bin can collect 20,000 plastic bottles or 83,000 plastic bags. 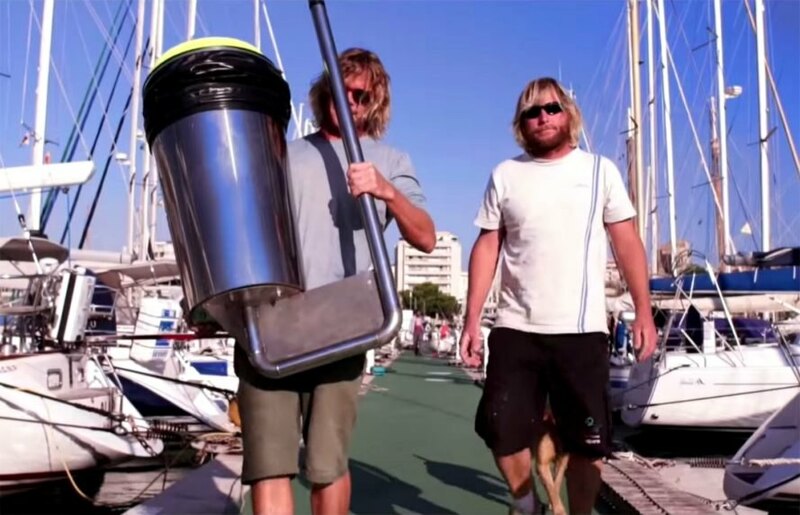 The Seabin was first unveiled in December 2015. To fund the invention, founders Andrew Turton and Pete Ceglinski created an IndieGoGo campaign. With little time to spare, the campaign exceeded its goal. Equipped with $250,000, Turton and Ceglinski are now prepared to follow through with their plan, which entails cleaning up marinas with the natural fiber garbage bin and an automated, above-the-water pump. The device was designed with marine safety in mind – only debris and chemical pollution on the surface of the water is collected; fish and other aquatic creatures are left alone. 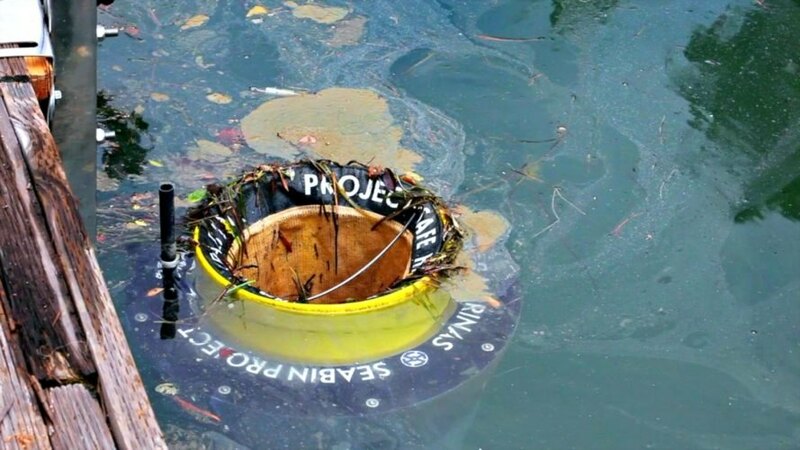 The Times reports that the Seabin was installed near the base of the Land Rover Ben Ainslie Racing (BAR) team in the Portsmouth harbor. The group is passionate about environmental efforts – not only have members pledged to give up meat every Monday, they only consume sustainable seafood. Now, they’ve agreed to oversee the Seabin, which will improve the quality of water while protecting the cage of over 1,000 oysters near the pontoon. The Seabin team are also conducting trials at Spain’s Port Adriano and the Port of Helsinki (Finland). In early November, the innovative device will go on sale for £3,000 ($3,957). Today, the world’s first production Seabin was placed in Portsmouth harbor, in the UK.